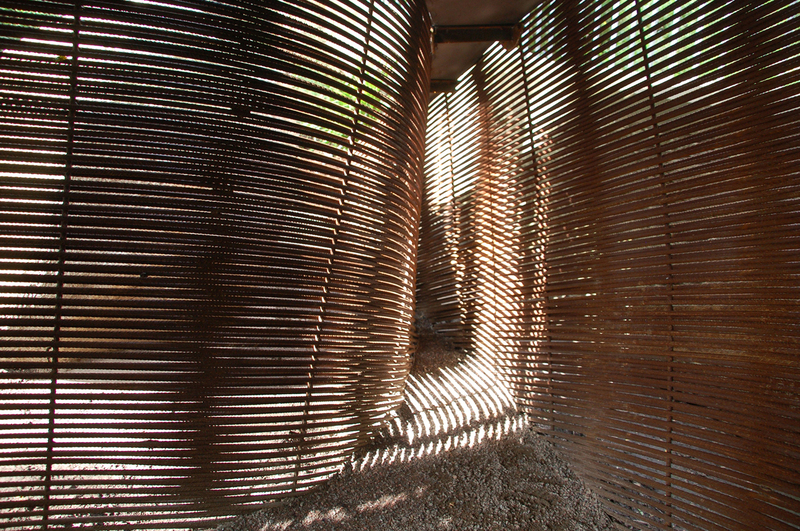 Designed in collaboration with Architect, Nicholas Groves-Raines, this structure, which serves as a composting area and garden store, is an organic extension of the garden and the woven edging to the paths from which it springs. 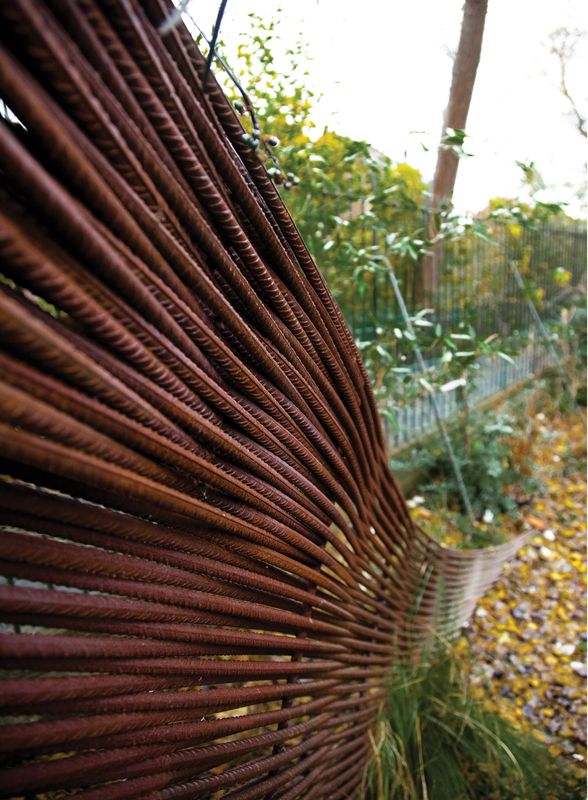 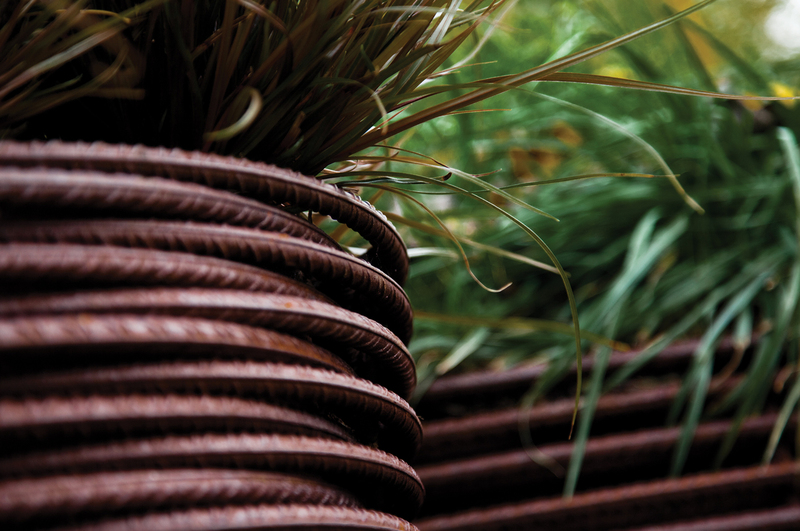 Its origins are derived from basket weave or hazel hurdles using woven rebar and corten steel. 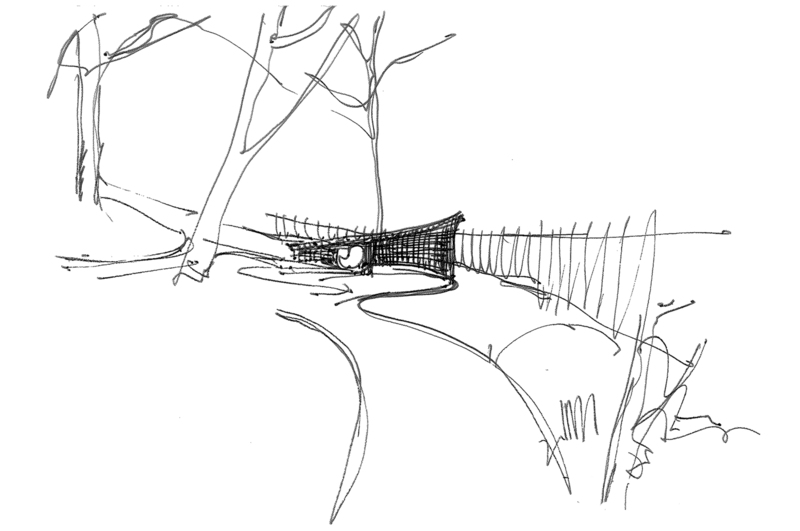 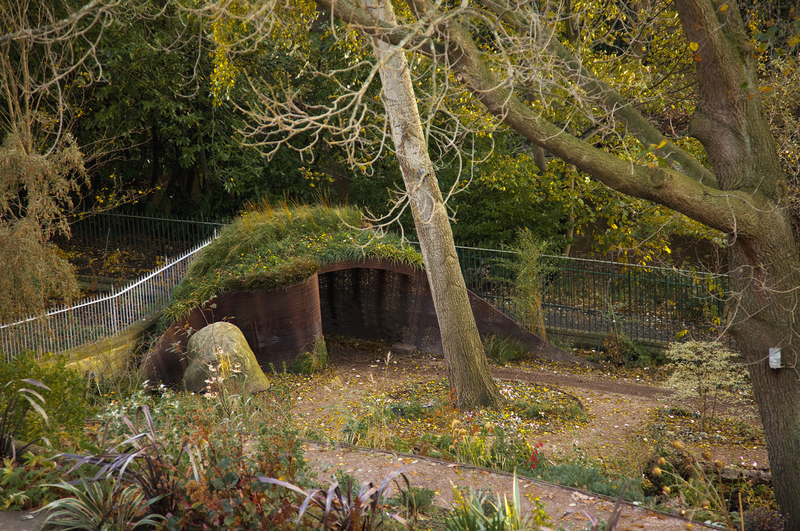 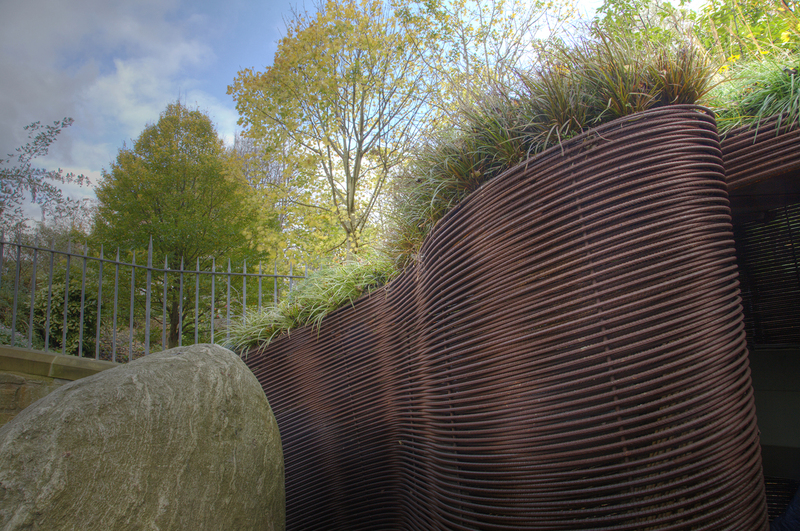 The organic form embraces a 5 ton boulder on the site and is located at the furthest corner of the garden, providing a point of interest for garden visitors and for walkers on the adjacent Water of Leith Walkway.